well, not exactly “frightful,” but it’s certain not pleasant out there. 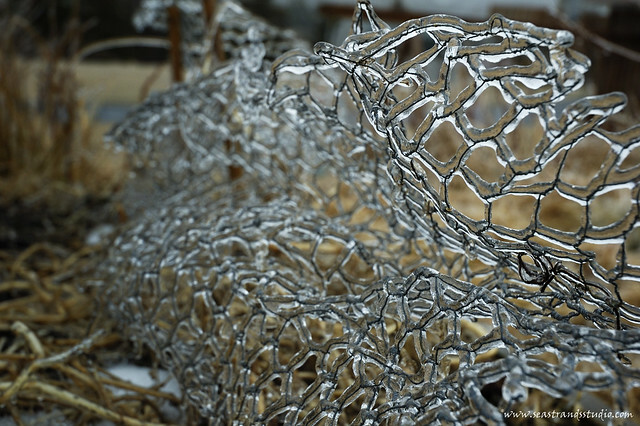 Chicken wire in the vegetable bed, forming a honeycomb of ice. 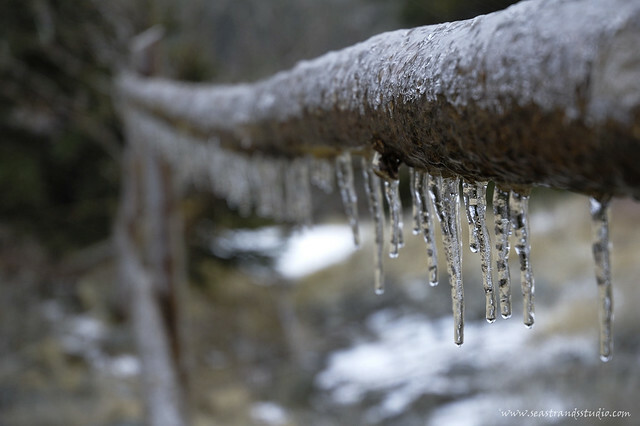 The freezing rain, while not precisely an hospitable milieu for photography, sure as shootin’ makes for some nice image opportunities. 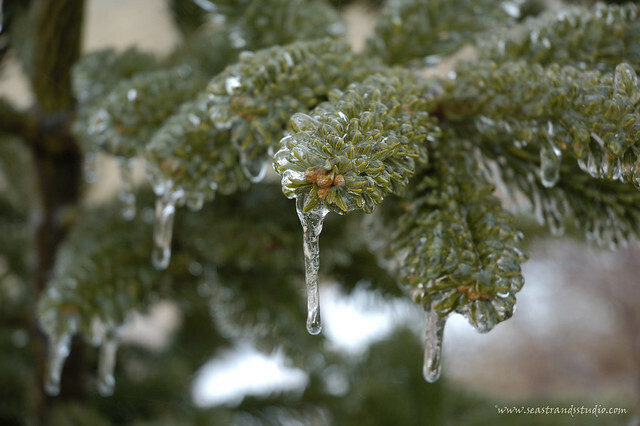 A fir tree with natural icicles. It somehow struck me as funny that folks spend money on ornaments at Christmas to emulate the effects of freezing rain. I was soaked to the skin after coming back inside, but quite pleased with how some of these came out. The pavement is incredibly slippery, though; it’s a skating rink on the driveway. 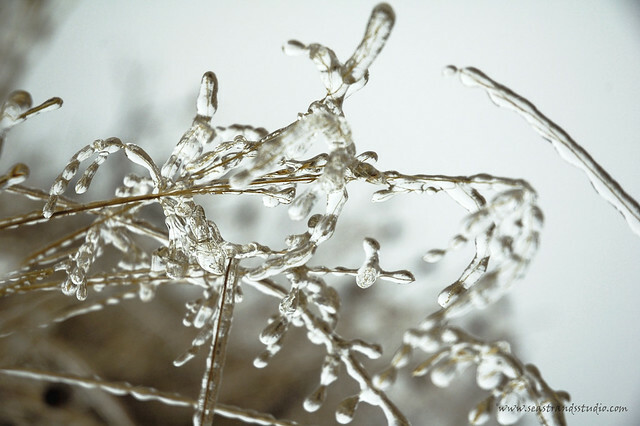 Spiders of ice form on strands of old grasses. I was going to run around noon and swim tonight, but unless things thaw very soon, it’s going to be a swim-only today. It’s just not safe out there right now. 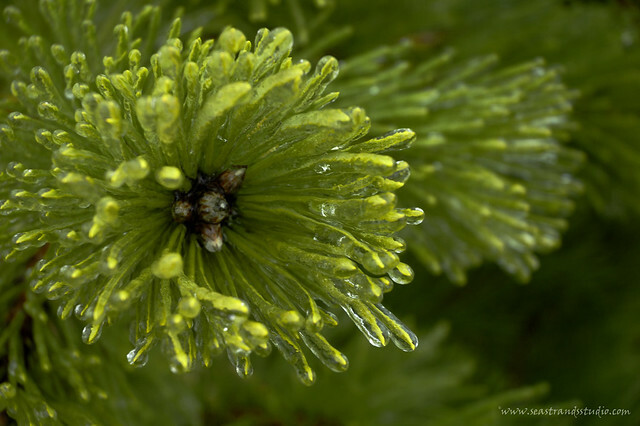 Ice needles on an Austrian Pine in the backyard. Attractive and appealing, but unpleasant to endure. That almost sums up Friday perfectly…. Beautiful pictures Vicki!! Absolutely amazing, you have a great eye for capturing beautiful images!